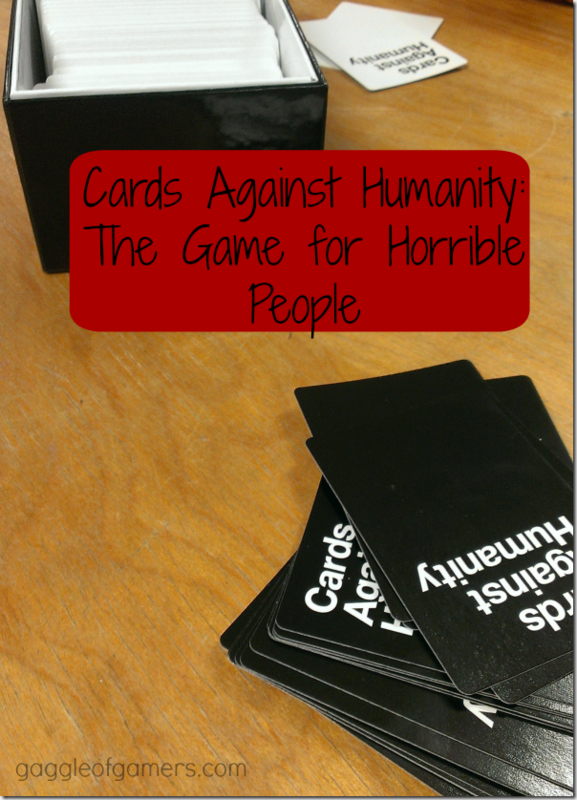 Cards Against Humanity is similar to Apples to Apples with one big exception. The game is horrible! 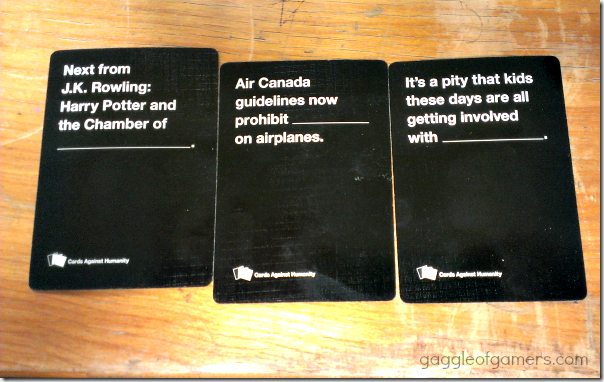 One player picks a black card and reads it aloud. Everyone else picks one of their white cards that they think fits with the statement on the black card the best. The person who read the black card picks the one they like the best and they win the card. First to 5 cards wins. Pretty simple right? This blog tries to be family friendly so I picked three of the tamer cards to share. But you must be forewarned that many of the cards are really bad and extremely inappropriate for kids, seniors and anyone else with sensitive minds. I don’t mean just you know, sexual, but gross sexual and explicit sexual. Also themes of death and other horrible themes. So back to the game. You read the black card aloud like I said. 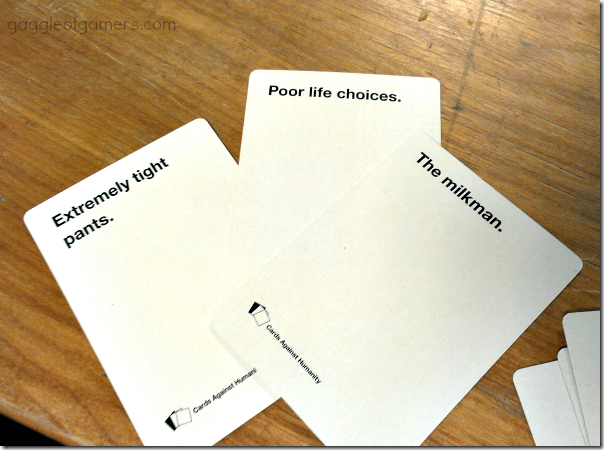 Then players look through the white cards they were dealt and find something that is the best match they can find. Incase you didn’t guess, these are the tamer white cards as well. Don’t let the colour of the cards fool you, they can be very horrible too. I consider myself a very open minded person, I have no problem joking about adult matters or even being descriptive sometimes, but even I found some of the cards completely inappropriate. There were 2 that were so bad, we refused to play with them because it would have just been wrong to joke about the horrible subjects. Don’t get me wrong though, I’m not saying I disliked the game, it was just intense. Only certain people would appreciate the game. If you know someone with a dirty mind that doesn’t shy away from horrible subjects, this would be a great gift. Especially if they like parties. If you're here, you must love games just like me! 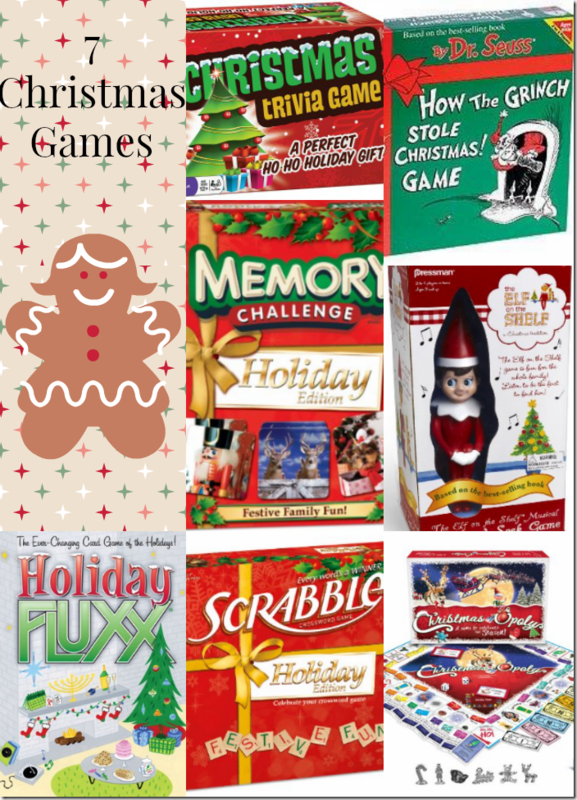 Whether your preference is board games, video games, computer games, Facebook games, game apps on your phone, puzzles, party games, word games or any other kind of game, you'll like it here! 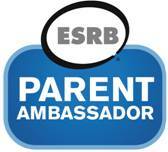 Follow Kathleen's board Gaggle of Gamers on Pinterest.